As you stroll into our yoga studio in the morning you'll notice the sun starting to shine through the floor-to-ceiling windows, treating you to postcard views of the mountains and Kootenay Lake. At our yoga and hiking retreat, we begin each day with Hatha yoga, using gentle poses and deep breathing to awaken the mind and prepare the body for a day of activity. While with us at the Mountain Trek program you'll begin each day with a calming and gentle yoga session for one hour. You'll flow through a combination of restorative, meditative and active poses, specifically designed to support the program and prepare you for an active day on the trails and in the gym. The yoga instructor gently guides you and makes sure you enjoy maximum benefit from each pose. Katya Hayes has been a dedicated yoga teacher for 15 years. She's been our primary yoga instructor for over 12 years and teaches classes ranging from Power Vinyasa to gentle yoga for beginners. Katya became the first western woman to receive certification by the International Korean Yoga Association and has studied the ancient teachings of yoga and Buddhism and the traditions of Iyengar, Ashtanga and Vinyasa flow. 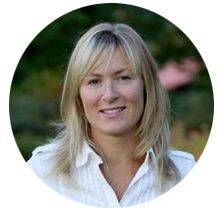 Energetic and passionate about health and fitness, Sage Leboutan has been working in the field of wellness for years. She loves to travel and has taught yoga in Central and South America. 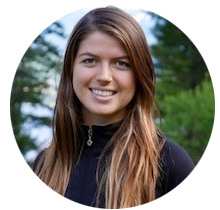 She grew up in the West Kootenays where she developed her passion for the outdoors and has since completed her Bachelors Degree of Kinesiology from UBC in Vancouver.